At Rico’s lechon, the ingredients are simple. The most important one is the PIG, otherwise known as Filipino lechon. Cebu City, the “second city” of the Philippines, is home to the most delicious and succulent lechon in the Philippines. For those that might not be familiar, lechon is whole roasted suckling pig and is very popular in Filipino cuisine. In our previous article Cebu lechon, the best pig ever according to Anthony Bourdain, we described our adventures and how they led us to Rico’s lechon, the best lechon in Cebu. After tasting Cebu lechon at several restaurants in the city, we liked Rico’s lechon the best. In keeping with our mission at Authentic Food Quest, we sought to learn more about Rico’s lechon and the people behind it. In this article, we go deep to understand what makes Rico’s lechon so special. Filipinos are some of the most welcoming and generous people we have met on our quest for authentic food. And, getting to meet the founder of Rico’s is an example of their generosity. When we were in Cebu, we had had dinner at Rico’s lechon. While waiting for our meal, we went up and talked to the “tagud” or “person chopping up the pig”, who surprisingly was a female. As we asked questions about the pigs and lechon, she told us about their commissary (where the pigs are prepared and cooked) and invited us to visit. Taking a chance and not knowing if they would accept, we contacted the commissary. Surprisingly, just after two days, we had an invitation to not only visit the commissary but also meet the founder of Rico’s Lechon. The generosity and willingness to take us “behind the scenes” was unexpected and much appreciated. “Pop’s” from Rico’s marketing department met us and drove us to the commissary. 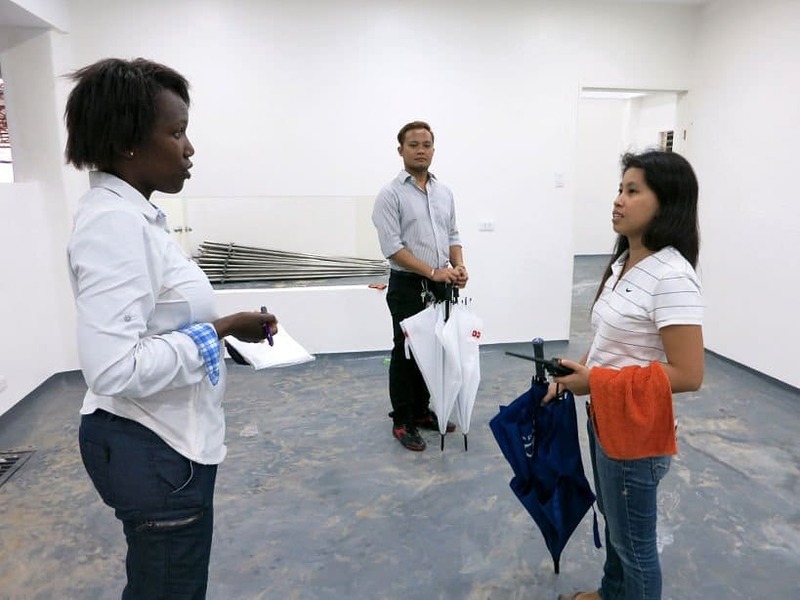 This trip happened to coincide with the opening of their new state-of-the-art facilities. We took a tour of the facility and learned how the pigs are prepared and cooked. We also had the opportunity to meet the rest of the team including his daughter Claire, who is responsible for the operations of the business. 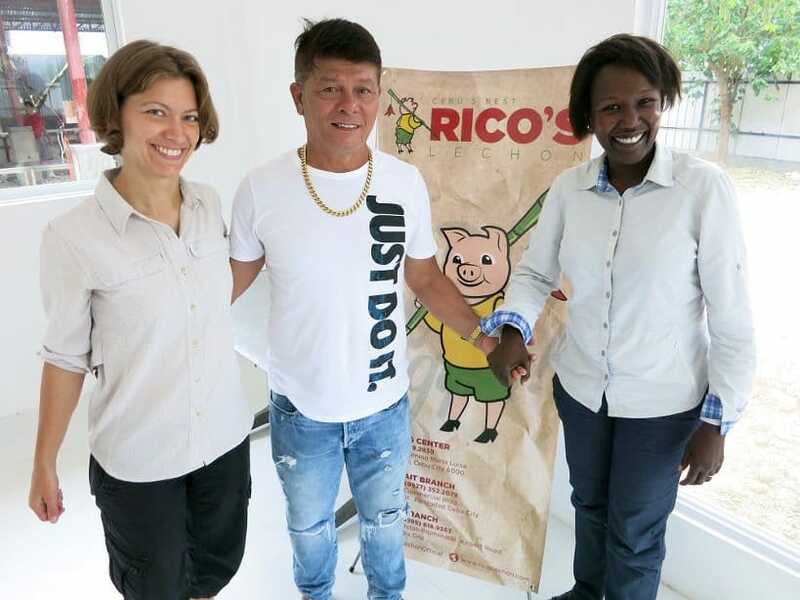 Referred to as “Sir Rico” by his staff, Enrico “Rico” Dionson graciously took time out of his schedule to share his background and well as what makes Rico’s lechon so special. From humble beginning, Enrico started worked at 15 years of age, as a “Kristo” (taker of bets) in the cockfighting sport (sabong), the second most popular hobby in the Philippines. His big break came through a common friend that led to the former president, Joseph Estrada discovering Rico’s lechon and would declare it his personal favorite. Always an entrepreneur, Enrico was also the first to introduce the “Spicy Lechon” variety in the Philippines. This is the Rico’s lechon that we first tasted at the restaurant and fell in love with. Without revealing the “secret recipe”, a mix of spices is infused into the meat, that bring out the extreme deliciousness of the pigs. The skin, however, remains crispy and tender. The spicy flavors are not overwhelming. However, if you don’t like spicy food, the popular “classic” lechon is a great option. The raw product or the pigs are the first and most important ingredient in making the best lechon in Cebu. Rico’s Lechon uses only native pigs, which are local from the area. They have exclusive agreements with farmers who provide them with farm and organic raised pigs. During the preparation period, the pigs are stuffed with the finest ingredients. This includes lemongrass, chili peppers, leeks, garlic and special seasonings. The pigs are spit-roasted over charcoal, under the watchful eye of Enrico. In addition, the use of charcoal in the cooking process brings out the flavors, in a way that the oven cannot. 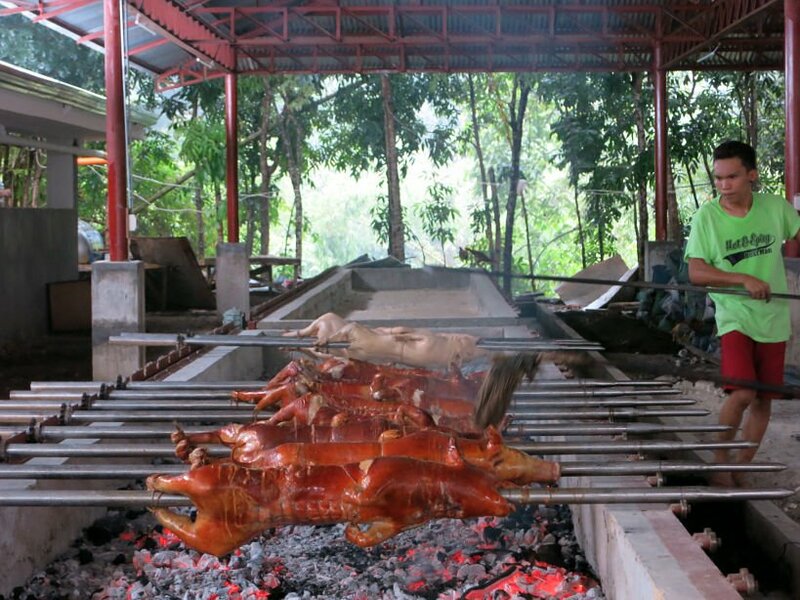 The pigs are roasted anywhere from 2 – 4 hours depending on the size of the pig. The secret sauce or “magic” that we observed was passion. Every single person we met shared their passion and commitment to making the best lechon in Cebu, and in the Philippines. From the staff at the restaurants to the teams in Operations and Marketing, the single focus is quality. Perhaps, what really makes Rico’s so special is the people! The best place to get Rico’s Lechon is in Cebu. You will find it available at two locations. At the Mabolo branch located in Cebu city, at F. Cabahug St, which is the first Rico’s lechon restaurant. And, you can find a second restaurant near the airport in Lapu-Lapu city on Mactan promenade near the airport. Rico’s Lechon is growing and a third branch is said to open in Uptown Cebu City at Vibo Place, which will become the flagship restaurant! Find out more about the locations and opening dates of the new restaurant on their website. Additionally, it is also possible to order a fully roasted pig directly from the commissary. 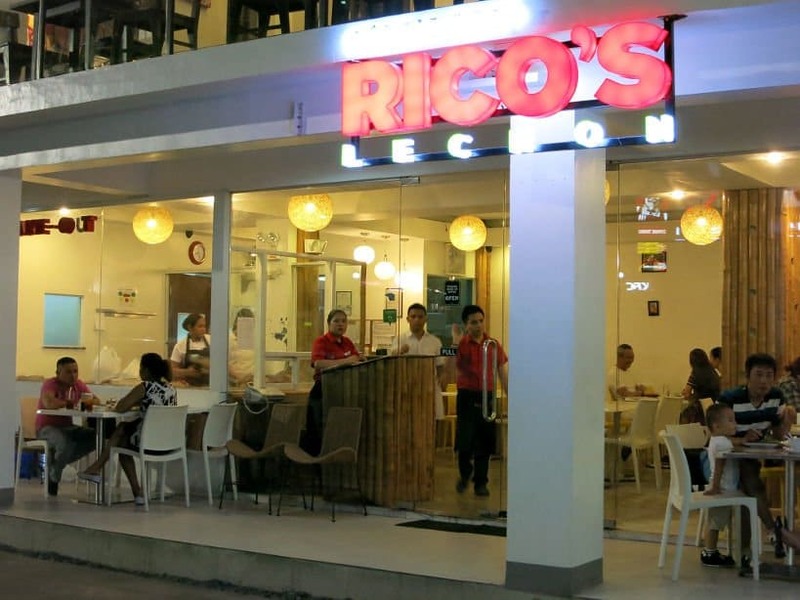 Rico’s Lechon delivers locally and also ships to Manila, the capital. 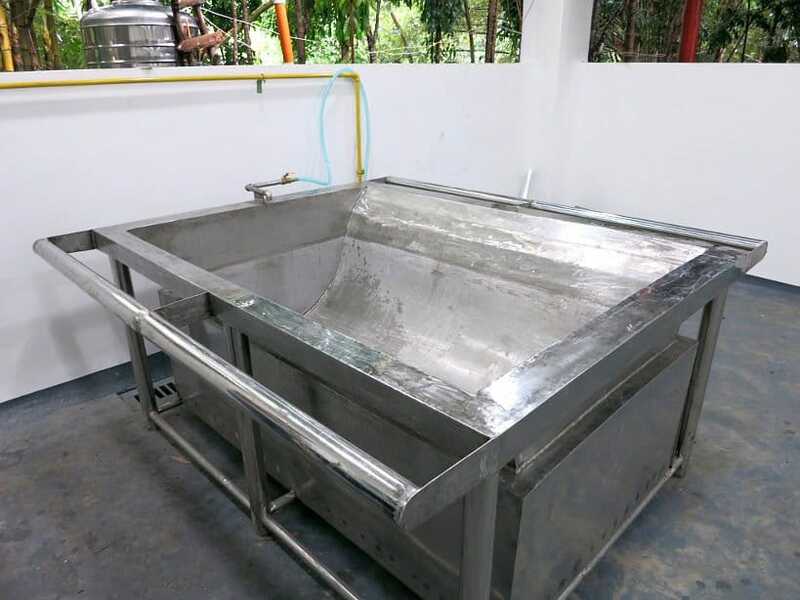 Prices for whole pigs range from 4000 PHP – 5500 PHP (approx $80 USD – $112 USD). 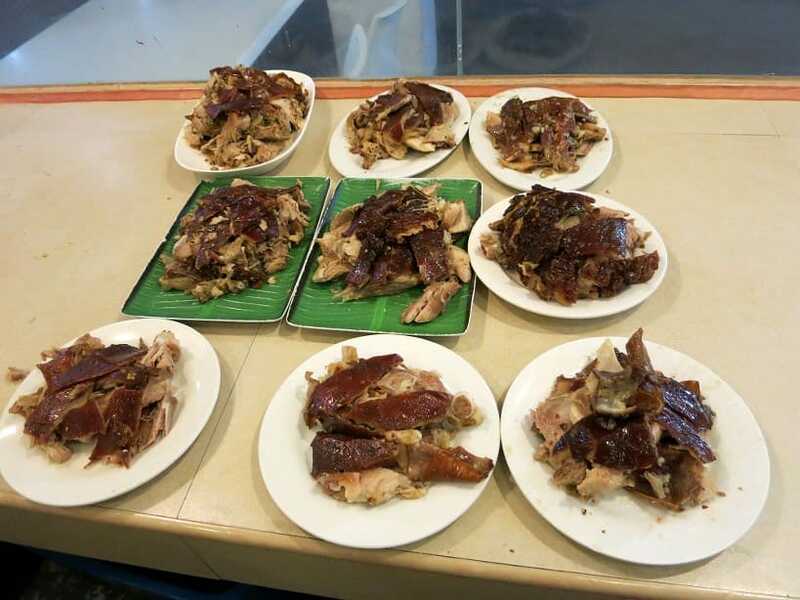 The current challenge that Rico’s Lechon is facing is how to distribute more widely, yet preserve the quality of the meat and unique crispness of the lechon skin. 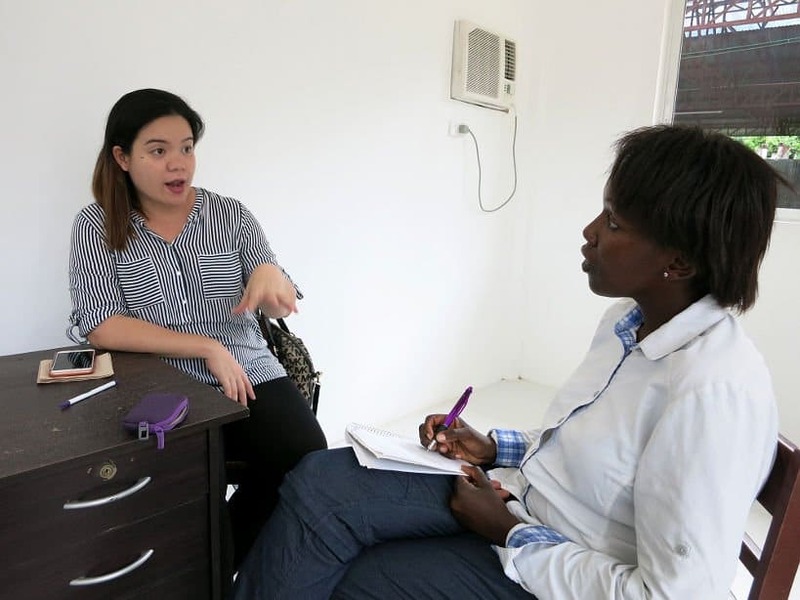 Until they find a solution, your best bet will be to go to Cebu and visit Rico’s Lechon. We were thrilled at the opportunity to understand the famous Filipino lechon at Rico’s. Not only were we seduced by the delicious flavors and golden crispy skin of the lechon, we were also humbled by the graciousness of Enrico and his team. 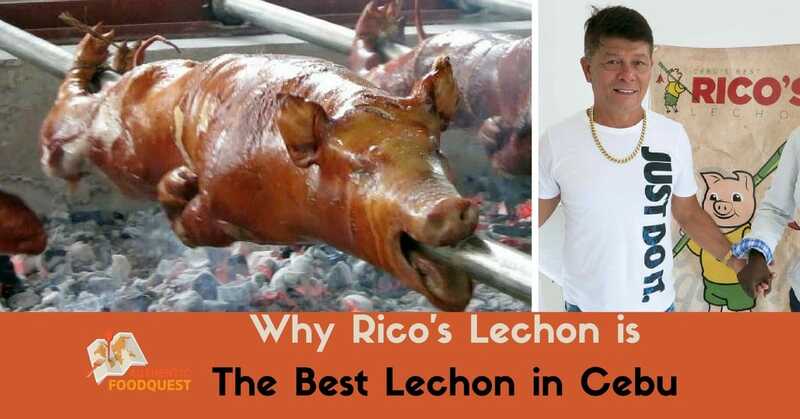 So, if you are searching for the best lechon in the Philippines, look no further than Rico’s lechon in Cebu. The most delectable and succulent lechon, comes from the happy pigs and wonderful staff at Rico’s Lechon. Have you had whole roasted pig on a spit before? Where? What was it called? How was it similar or different? Share your thoughts below. Looking for tips to find authentic and local foods on your travels? Get your free ebook on The 5 Best Ways to Find Authentic Food While Traveling and sign up for our monthly newsletter. I didn’t get to try this specific lechon, but I did have it a couple of times while visiting the Philippines and it was delicious! I must admit I didn’t love a lot of Filipino dishes as I found them fatty and full of sugar, but the pork was some of the best I’ve ever had anywhere. As a side note, it was great to meet you (even though it was really brief)! Hi Jennifer, it was really nice to meet you too at TBEX. The lechon, especially from Cebu was one of our highlights about the food. The Filipino cuisine in general, was “hit or miss”. When it was good, it was really good. When it was not, it was fatty and sugary. Really dependent on the cook and preparation method. Thanks for stopping by!! How cool is that and what a fun and exciting adventure. I can almost taste that freshly roasted pork. The only time I’ve had roasted pig was at a luau. Thank’s Debra. It was quite interesting seeing the preparation of the lechon and taking in all the odors and sounds 🙂 Can’t beat that experience. That’s great to know that roasted pig is quite popular in Hawaiian luau’s. We haven’t experienced one yet, and would love to. Thanks for your comments!! Now I know why! Of course, lechon is one of the foods I will always miss, being a Filipino! Oh that looks quite tempting thought I don’t eat red meat. Glad to know that you could explore what goes behind the scene. Great story. Thanks so much Nisha. Glad you found the post quite tempting even though you don’t eat red meat. We made the trip as soon as we arrived in the Philippines. This was before TBEX. We had heard about the lechon while we were in the US and knew we had to go to Cebu. Well worth the trip. Cheers!! That’s good to know Fiona about the roasts in the UK. I’m sure the taste is quite different, but both quite tasty. Thanks for your comments!! Very interesting to know the process. I have seen these being sold in Turin in Italy. I did take some pics, I don’t eat it. Great pics you got. I have just one pig which was being sold by a vendor there. Never saw this place when I visited Cebu. Got to say I wasn’t the biggest fan of Filipino cuisine. Apart from sisig it wasn’t to my tastes! How cool to get behind the scenes like that and meet the people who make it all happen? Love that there is a special title for the person cutting up the pig. It looks like an amazing feast! I love the story of this place, and how dedicated they are to preserving the taste and quality! Although Romanians are big on their pork, I’ve never had suckling pig before, even if it’s cooked in different ways around here. Not sure why, they just seem so small! I’d get over my hiccups for this lechon, especially if it’s the spicy one. 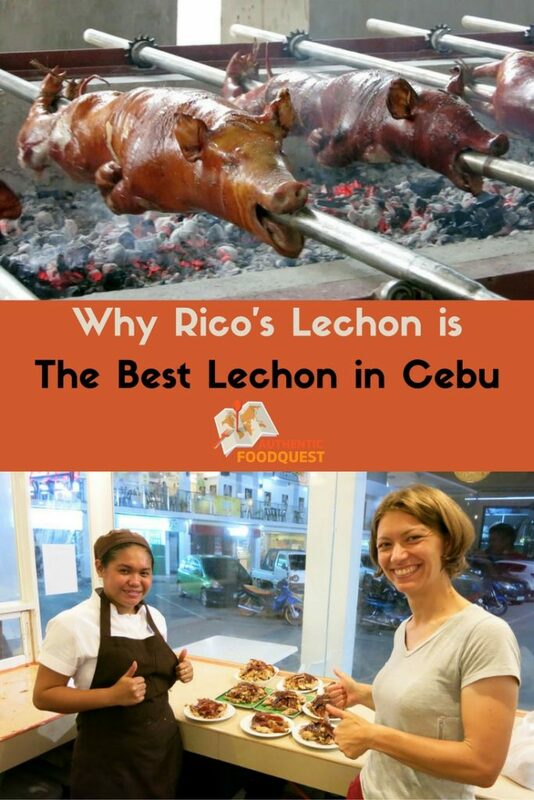 So glad you enjoyed reading and learning more about Rico’s lechon. That is so interesting about Romanian’s and their love for pork. You would love lechon and the spicy version too. Hope you can get to the Philippines soon!! Cheers Alina. Wow what a fantastic experience to be allowed behind the scenes! Thanks for taking us on a tour with you. I’ve had roasted pig on a spit before, for my wedding in Hawaii. Honestly I didn’t think much about delving into the culture and backstory of the cuisine, but you’ve inspired me to start! 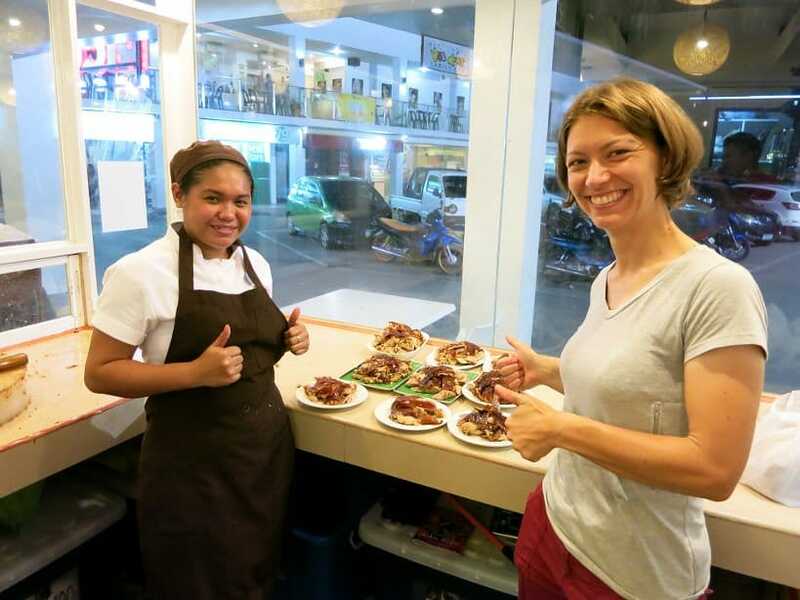 Thanks for the great overview of Filipino lechon at Rico’s! Thanks so Meg. So glad you enjoyed reading the backstory of Rico’s lechon. Meeting the people behind the food is where the “magic” begins. Happy to read that you are inspired to go behind the scenes now. We haven’t had the Hawaiin version of roasted pig yet, but would love to compare and contrast at some point. Thanks for your comments. Appreciate it!! Thanks Carmen, did you like the suckling pig in Spain? The heritage of the lechon in the Philippines comes from Spain. It would be interesting to taste the two side by side and see how each has evolved over the centuries. Cheers! Such an amazing experience! And omg that shot of the roasting pigs looks incredible! Wish I was there. What a great adventure you have in Cebu, I only heard stories that the best place to find the great tasting lechon is in CEBU. I haven’t been to Cebu to try Rico’s Lechon personally, but my family do enjoy eating lechon and we occasionally roast suckling pig ourselves in our backyard on some birthdays and holidays like new year. 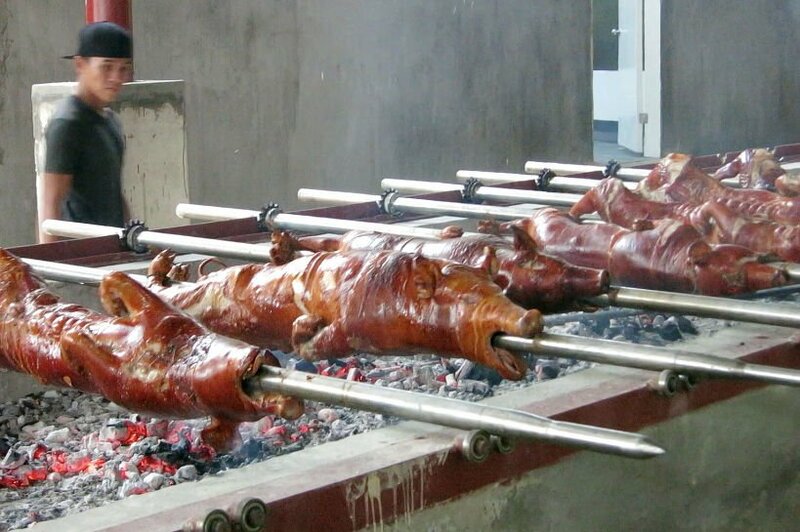 Roasting suckling pig is a common practice in the Philippines, especially on special occasions like weddings, anniversaries, christening and holidays. Wow what an awesome behind the senes experience! So lucky and delicious. They really know how to prepare prok in the Filippines! And is anything better then melt in your mouth lechon meat! So good. Thank you so much for sharing. So glad you enjoyed the article Evelyne. Getting to meet the team behind Rico’s truly enhances the experience. 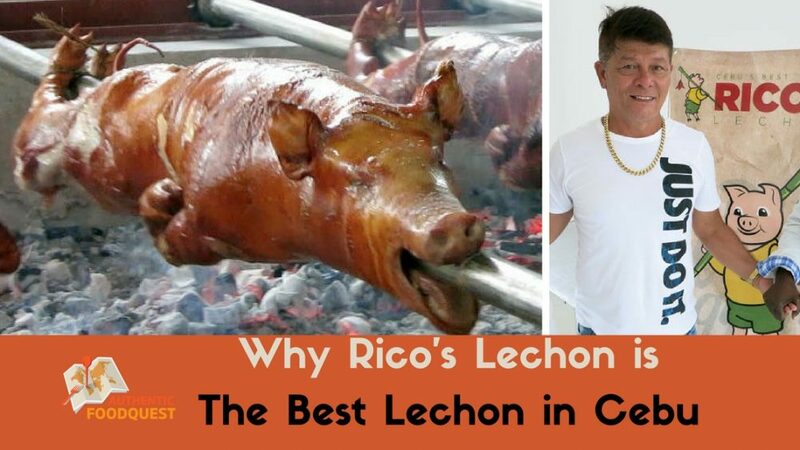 If the Philippines is in your future plans, do plan on visiting Cebu for Rico’s lechon! Thanks for your comments.